Again – art saves the day! See something you like at a gallery? 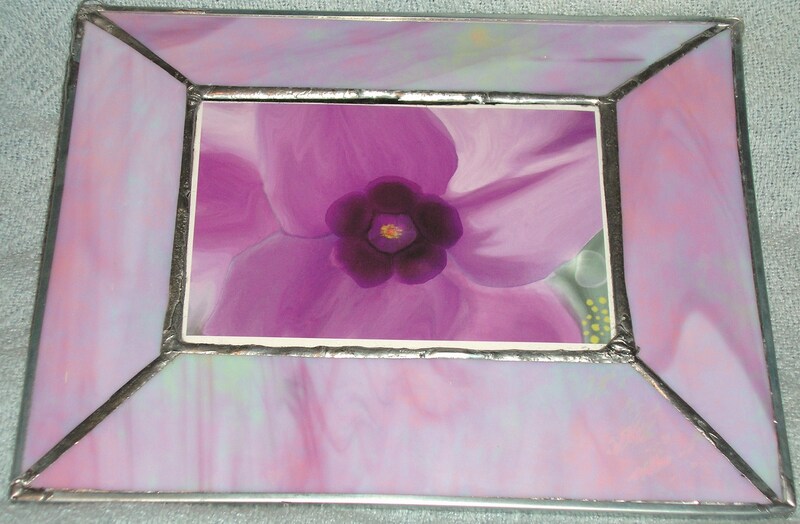 If you can afford it – buy it – you never regret purchasing art! I found the card that is framed in glass above at the Jacoby Arts Center last fall. I didn’t know what I’d do with it – I just liked it, and, honestly, it was a bit of a “guilt purchase” – I try to support the arts locally when I can, I had just seen a free gallery show – and a card was all I could afford that day. These several months later, one of my co-workers announced she is leaving to pursue her dream of a career in nursing. I remembered the card – and thought it would be perfect for someone going into the “helping hands” profession. 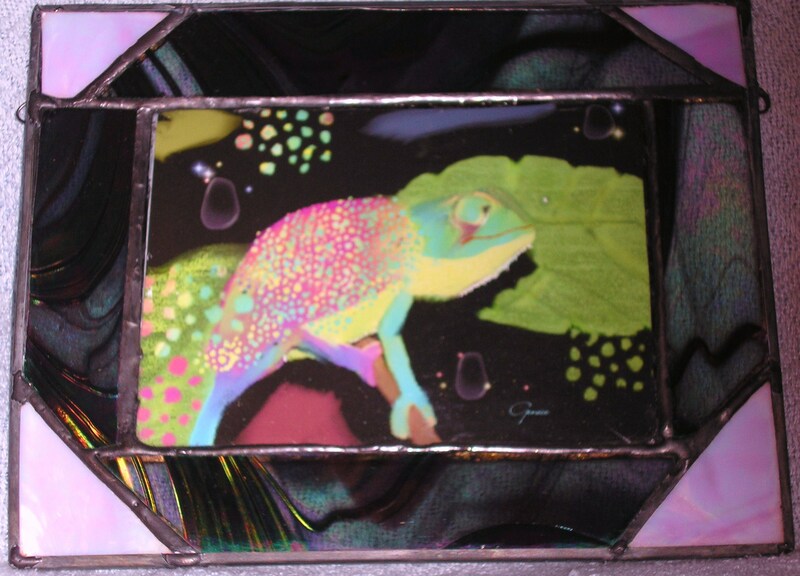 So I made a stained glass frame for it – and I have a one-of-a-kind gift ready to share. Often I don’t buy paintings I like because “I have no place to put it” – my walls are already crowded. 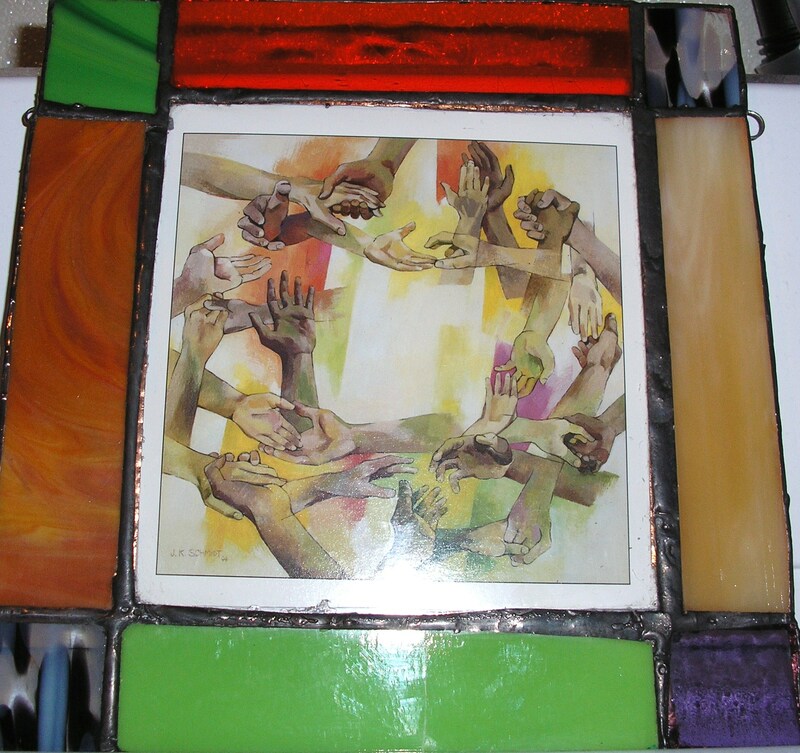 But being able to give it away, or merge it with another art form (like my stained glass frames) – gives me an excuse to listen to my heart & artist’s spirit – and support a local gallery/artist – and give something memorable – all rolled into one! Again, art saves the day!